Walter de Coventre (died 1371 or 1372 C.E.) was a fourteenth-century Scottish ecclesiastic, who became the Dean of Aberdeen and was elected Bishop of Dunblane after a long period of study in France, where he embodied positive cordial relations between the kingdoms of Scotland and France that continued to characterize the late Middle Ages and early Protestant Reformation. His election as bishop is significant because it was reluctantly supported by the papacy despite the Vatican's tradition of appointing local bishops. Walter studied Law at both the University of Paris and the University of Orléans and was awarded many university degrees, including two doctorates. His studies were financed by his benefices in Scotland, although he spent most of his time in France and did not return to Scotland until the late 1350s. Upon his eventual return, Walter engaged in high-level ecclesiastical affairs with the Scottish church and political affairs with the Earl of Mar. Sometime before June 1361, the cathedral chapter of Dunblane elected him Bishop of Dunblane, and the Pope at Avignon authorized his consecration. Thereafter, Walter presided over legal disputes, issued a dispensation for an important irregular marriage, attended parliaments, and acted as an envoy of the Scottish crown in England participating in important Scottish dialogues with the English crown to extend the two kingdoms' peace treaties. Walter de Coventre was typical of a new class of men in fourteenth-century Scotland, the university-educated career cleric from the lower nobility. Such men often acquired university education through their family resources, through the patronage of more substantial nobles, or through church influence, particularly support from the pope and his court. Patronage gave access to the resources needed to finance the considerable expense of a fourteenth-century university education, particularly through the presentation of benefices, gifts of land or income made by the church. Scotland had no universities in de Coventre's time, requiring travel either to England or Continental Europe to acquire a university education. Continental Europe, particularly France, was the favored destination, partly because of bad relations between Scotland and England. After their university education, some Scottish graduates chose to remain abroad and teach at a foreign university or to serve the papacy; most returned to Scotland and offered their services to the king, a magnate, or an ecclesiastical institution. The ultimate reward for such services was a bishopric, which brought wealth, prestige, and a "job for life". Walter de Coventre's life is not well documented. There are no biographies, and no histories or chronicles devote any space to him. His activities can be traced only through a small number of incidental references in legal deeds, church documents and papal records. No modern historian has written a monograph about him, and the most extensive attempt to reconstruct his life in modern literature is a two-page entry in D. E. R. Watt's Biographical Dictionary of Scottish Graduates to A.D. 1410. (1977). James Hutchison Cockburn, in his Medieval Bishop of Dunblane and their Church (1959) devoted seven less extensively sourced pages, but they emphasized the analysis of a few events during de Coventre's episcopate, and the events of his time. There is no direct evidence of his birthdate, his family, or his family's origin, although he may have come from the region around Abernethy (in modern-day Perth and Kinross), where a family with the name de Coventre is known to have lived. 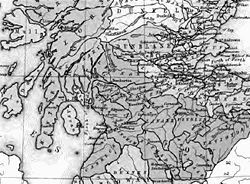 During most of de Coventre's recorded lifetime Scotland was ruled by King David II. Coming to the throne at age five, King David was driven into exile in France at the age of ten. In the 1330s, civil war raged in Scotland as those loyal to David fought Edward Balliol and his English backers. In some sense, the conflict became a side-show of the Hundred Years' War, and David resided at Château Gaillard in northern France for much of his exile, until he could return to Scotland in 1341. In 1346, in response to a plea from France to come to its aid, David led an army into England only to be taken prisoner at Neville's Cross; he remained in captivity until he was ransomed in 1357. David's exile in France corresponded with Walter's own period in that country, prompting one historian to suggest that Walter was part of David's court while both were in northern France, and that Walter subsequently benefited from the relationship. James Hutchison Cockburn, a historian of Dunblane's medieval bishops, assumed that Walter's surname derived from the town of Coventry in England. D. E. R. Watt has suggested that the medieval settlement of Coventre or Covintrie near Abernethy in the diocese of Dunblane was the origin of the name. There is no direct evidence of de Coventre's family, but two other men bearing the name "de Coventre" are known to have been active during Walter's lifetime. A "John de Coventre" is found registered as a student at the University of Paris on January 21, 1331. Before December 1341, when he resigned, John de Coventre held the parish church of Inverarity, Angus, in the diocese of St Andrews. On 7 December 1345, a William de Coventre, also from the diocese of Dunblane, held a canonry and prebends (a cathedral priesthood with stipends) in the diocese of Ross and the Collegiate Church of Abernethy, when he was granted the church of Inverarity that had previously been held by John de Coventre. William thus appears to have succeeded John (and later Walter succeeded William) to all of these benefices. Watt suggested that all three were brothers, John the first-born, William the second-born, and Walter the youngest of the three. He further suggested that the family was probably closely connected to Margaret de Abernethy, heiress of the old lay abbots and lords of Abernethy. Margaret had patronage over both the church of Abernethy and, as probable owner of the barony of Inverarity, the church there. De Coventre received a B. A. under John de Waltirstone from the University of Paris by Lent, 1333. Although he had probably completed a Licentiate in the Arts and an Master of Arts by 1335, because of gaps in the Paris records it is not certain that he was a Master until April 1345. He moved on to study civil law at the University of Orléans, and by March 24, 1337, he was serving as the proctor of the Scottish Nation in Orléans. By December 7, 1345, he had received a Licentiate in Civil Law. On December 20, 1348, he was at Avignon as an envoy of his university, and while there he obtained a grace regarding his own benefice holding from Pope Clement VI. On October 7, 1349, Pope Clement granted an indult to Walter allowing him to be absent from his cure while he continued his studies at Orléans. He may already have been a Doctor of Civil Law by that point, because in the following year, on November 22, 1350, he is found as such acting as the Regent of Orléans presenting a candidate for licence. Having studied civil law for the highest qualification available, de Coventre moved on to canon law. By March 28, 1351, he possessed a Bachelorate in Decrees (canon law). This was perhaps why on April 16, 1353, he obtained from Pope Innocent VI another grace for himself. Precisely when he obtained his doctorate is unclear, but he was D. U. J. (doctor utriusque juris), Doctor of Both Laws, by September 4, 1359. Walter's first known benefices were a canonry with prebend (i.e. revenues of a cathedral estate shared by members of the clergy) in the Collegiate Church of Abernethy and a prebend in the diocese of Ross, northern Scotland, which he was holding by April 12, 1345. None of these benefices, neither parish nor office, are known by name. While Walter would retain his Ross benefice until becoming Bishop of Dunblane, he lost his Abernethy benefice at some point between December 20, 1348 and March 28, 1351. During that period he obtained another unnamed prebend in exchange for the Abernethy prebend. Walter is only the second known canon of Abernethy Collegiate Church. On April 12, 1345, he was granted a canonry in the diocese of Dunkeld with expectation of a prebend, but does not appear to have obtained this in practice, although he did obtain a different Dunkeld canonry with prebend on May 12, 1352. This he retained until his consecration as Bishop of Dunblane in 1361. Walter also obtained a fourth prebend in this period. He had been pursuing a benefice in the diocese of St Andrews, and while he was granted this on March 28, 1351, the grant was still not effective by April 16, 1353, when he was granted a prebend in the diocese of Moray instead. This was not effective either, but Walter did eventually obtain a St Andrews diocese benefice, namely the church of Inverarity in Angus, which had become vacant on the death of its incumbent, William de Coventre, probably Walter's older brother. On December 7, 1345, Walter was appointed (provided) as Archdeacon of Dunblane, his most substantial benefice to date, but the appointment does not appear to have been carried through. Walter obtained one more benefice during this period. On December 20, 1348, he was made Dean of Aberdeen Cathedral, a high-ranking office that Walter was not technically eligible to hold without a papal grace, being only a sub-deacon in orders. The deanery had been made vacant by the death of the long-serving Gilbert Fleming. Although in July the Pope had given it as an extra prebend for Annibald de Ceccano, Cardinal Bishop of Tusculum, this had been cancelled by December 20, when it was given to Walter instead. These benefices provided an income without the obligation to perform any pastoral services. Their revenues were assigned to pay for his studies, leaving poorly paid vicars to carry out the pastoral work. Walter remained as a teacher and official at Orléans, perhaps without returning to Scotland at all, until the late 1350s, by when he would have been absent from his native country for more than 25 years. In an Aberdeen document dated July 12, 1356, it was noted that he was still absent from his post. A nineteenth-century map of the diocese of Dunblane and its surrounding dioceses. Abernethy, although physically separate from most of the rest of the diocese of Dunblane, was nevertheless part of that diocese. Walter cannot be traced back in Scotland with certainty before his appearance as a witness to a charter of Thomas, Earl of Mar, on July 9, 1358. He may have returned a year earlier, as a document dated sometime between November 1357 and April 1359 records him in the sheriffdom of Forfar (royal demesne in Angus) assisting a justice ayre. He appears again on September 4, 1359, witnessing another charter of Earl Thomas at the latter's residence of Kildrummy Castle. Following the death in 1361 of William de Cambuslang, Bishop of Dunblane, Walter was elected by the Dunblane cathedral chapter to be the new bishop. On his election, Walter possessed no benefices in the diocese, and had had none since giving up his Abernethy prebend a decade before. However, it was probably the diocese of his birth, and he had almost become archdeacon of the diocese in 1345. Walter, bishop-elect, travelled to the papal court at Avignon, and was provided (appointed) as bishop by Pope Innocent on June 18, 1361. The papal letter of provision expressed displeasure that the chapter (by electing) and Walter (by accepting the election) were ignoring a previous papal reservation of the bishopric. Pope Innocent quashed the election, but nevertheless agreed to appoint (provide) Walter to the bishopric. Walter may have been consecrated soon after, probably by August 23. It was on that date that he presented a roll of petitions to the Pope on behalf of several Scotsmen, including Michael de Monymusk, future Bishop of Dunkeld. On September 20, Bishop Walter made a "promise of services" to the papacy, the first payment of which was delivered to Avignon in 1363 by Walter's proctor. Walter had returned to Scotland by June 30, 1362, when his presence is attested at Partick near Glasgow. The document in which Walter is mentioned recorded that William Rae, Bishop of Glasgow, along with his cathedral chapter, agreed to put a dispute to arbitration. Recently a petition of the secular Prior and Chapter [of Abernethy] for confirmation described how the [Collegiate] Church was founded by lay patrons for a prior and five canons. At a later date some of the patrons were eager to augment its rents, and the number of canons was hopefully raised to ten. No such augmentation took place, and because of wars, fires and ruin the Prior and Chapter were brought to straits. Bishop Walter, therefore, with the assent of the patrons and King David, reduced the canons to five. The changes were confirmed by the Pope on October 31, 1375, several years after Bishop Walter's death. A document of Inchaffray Abbey, preserved in the original (as opposed to a later copy), recorded that Bishop Walter had been involved in settling a dispute involving Inchaffray, an abbey which lay in his diocese. Inchaffray's dispute was with Naomhán Mac Eóghainn (Nevin MacEwen) and his wife Mairead (Mariota). Under Abbot Symon de Scone, previous Abbot of Inchaffray, the abbey had given some lands in exchange for 40 marks to Mairead's father Maol Mhuire (Malmoran) of Glencarnie. Under the new abbot, Abbot John, the abbey sought the return of those lands. The case appears to have gone to Bishop Walter's consistorial court, which he held at the chapel of Innerpeffry. Here Naomhán and Mairead agreed to accept a payment of 40 marks in exchange for returning the documents of ownership given to them by the abbot and for acknowledging the abbey's ownership. The couple pledged to honor the agreement by swearing an oath on the chapel's Gospels. The case then proceeded to a hearing held under Robert Stewart, Earl of Strathearn and High Steward of Scotland (later King Robert II), at Perth, where the couple were forced under the threat of severe penalties to swear again never to renew their claim. The decision was sealed by the witnesses, including Bishop Walter, at a Perth church on November 30, 1365. 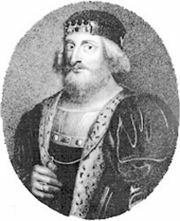 On March 13, 1366, Walter was commissioned by the papacy to authorize dispensation for the irregular marriage between John Stewart, Earl of Carrick (much later King Robert III) and Annabella Drummond. Bishop Walter attended at least five meetings of the Scottish national parliament during his episcopate. He was present at the Scone parliament of September 27, 1367, which discussed royal revenues and relations with the English crown. He was also present at the Scone parliament of June 1368, and the Perth parliament of March 6, 1369; the latter discussed royal business, relations with the Kingdom of England and the Kingdom of Norway, and law and order in the Scottish Highlands. Robert Stewart, Thomas, Earl of Mar, Uilleam III, Earl of Ross, and other Highland lords, were ordered to impose greater control in their regions. Bishop Walter took part in two parliamentary committees, the first a clerical committee devoted to general business, and the second a judicial committee authorised to review earlier legal judgments in the kingdom. The parliament's discussions on Anglo-Scottish relations preceded peace negotiations later in the year, at which Bishop Walter was one of the Scottish envoys. There was some urgency behind the matter, in view of the impending end to the five-year Anglo-Scottish truce agreed by King Edward III of England on May 20, 1365. King David travelled to London, where he resided in May and June, in order to take part in the negotiations. Walter and the rest of the embassy, which included four other bishops, were in London by June 1369, the month in which Edward agreed to a new truce. When it was ratified by the Scots at Edinburgh on July 20, Bishop Walter was again present, as a witness. Walter attended the Perth parliament of February 18, 1370, and was named as one of the members of a special committee "for the deliberation concerning the consideration of common justice". He is mentioned for the last time swearing fealty to the new king, Robert II, at his accession parliament at Scone on March 27, 1371. Walter de Coventre must have died later in 1371 or in very early 1372, because on April 27, 1372, the Pope appointed Andrew Magnus to the vacant bishopric of Dunblane. ↑ Alexander Grant. Independence and Nationhood: Scotland, 1306–1469. (London: Edward Arnold, ISBN 0713163097), 96–97. ↑ Michael Brown. The Black Douglases: War and Lordship in Late Medieval Scotland, 1300–1455. (East Linton: Tuckwell Press, 1998. ISBN 1862320365), 195. ↑ A. D. M. Barrell, 1999, "Papal Provisions in Scotland in the Fourteenth and Early Fifteenth Centuries", 215–225. in Barbara E. Crawford. Church, Chronicle and Learning in Medieval Scotland: Essays Presented to Donald Watt on the Completion of the Publication of Bower's Scotichronicon. (Edinburgh: Mercat Press, 1999. ISBN 0841830011), 218; James Hutchison Cockburn. The Medieval Bishops of Dunblane and their Church. (Dunblane: Society of Friends of Dunblane Cathedral, 1959), 104–105; Grant, 1984, 97. ↑ Michael Brown & Steve Boardman, "Survival and Revival: Late Medieval Scotland", 77–106 in Jenny Wormald. Scotland: A History. (Oxford: Oxford University Press, 2005. ISBN 0198206151), 91. ↑ D. E. R. Watt. A Biographical Dictionary of Scottish Graduates to A.D. 1410. (Oxford: Clarendon Press, 1977. ISBN 0198224478). for details and individual examples. ↑ A detailed survey, although regarding twelfth- and thirteenth-century England, but still relevant, can be found in Robert Bartlett. England under the Norman and Angevin Kings, 1075–1225. (Oxford: Clarendon Press, 2000. ISBN 0199251010), 377–412. ↑ See sources listed in Watt, 1977, 114–115. ↑ 10.0 10.1 Webster, "David II". ↑ Richard Oram, (ed.) Kings and Queens of Scotland. (Stroud, Gloucestershire: Tempus Publishing Ltd, 2001. ISBN 0752419919), 118, 120. ↑ Michael Penman. David II, 1329–71. (Edinburgh: Tuckwell Press Ltd / John Donald, 2004. ISBN 0859766039), 53. ↑ Ian B. Cowan. The Parishes of Medieval Scotland. (Edinburgh: Neill & Co. Ltd. 1967), 3. ↑ 17.00 17.01 17.02 17.03 17.04 17.05 17.06 17.07 17.08 17.09 17.10 17.11 17.12 17.13 17.14 Watt, 1977, 114; the Ross and Abernethy benefices are uncertain because they are not known by name, but the unique combination cannot very likely be down to coincidence. ↑ Watt, 1977, 113, 114, 115. ↑ Watt, 1977, 114, 115. ↑ Cockburn, 1959, 105; John Dowden. (1912), in John Maitland Thomson. The Bishops of Scotland: Being Notes on the Lives of All the Bishops, under Each of the Sees, Prior to the Reformation. (Glasgow: James Maclehose and Sons) 204, n. 2; Watt, 1977, 114. ↑ Dowden, 1912, 204, n. 2; Watt, 1977, 114. ↑ Cockburn, 1959, 105; Dowden, 1912, 204, n. 2; Watt, 1977, 114, 115. ↑ Ian B. Cowan & David E. Easson. Medieval Religious Houses: Scotland With an Appendix on the Houses in the Isle of Man, 2nd ed. (London and New York: Longman, 1976. ISBN 0582120691), 215. ↑ See Watt, 1977, s.v. "Coventre, William de," for details. ↑ D. E. R. Watt & A. L. Murray, (eds.) 2003. Fasti Ecclesiae Scotinanae Medii Aevi ad annum 1638, Revised ed. (Edinburgh: The Scottish Record Society, ISBN 0902054198), 117. ↑ Cockburn, 1959, 105; Watt & Murray, 9. ↑ Watt & Murray, 9. ↑ 29.0 29.1 29.2 29.3 Watt, 1977, 115. ↑ Watt & Murray, 101. ↑ Cockburn, 1959, 104; Dowden, 1912, 203–204; Watt, 1977, 114; Watt & Murray, 101. ↑ Cockburn, 1959, 104; Dowden, 1912, 204. ↑ Watt, 1977, 114; Watt & Murray, 101. ↑ Cockburn, 1959, 106; Watt, 1977, 115. ↑ Quoted in Cockburn, 1959, 106. ↑ Cockburn, 1959, 106; Cowan & Easson, 1976, 213. ↑ Latin document can be found at William Alexander Lindsay, John Dowden & John Maitland Thomson, (eds.) (1908), Charters, Bulls and Other Documents relating to the Abbey of Inchaffray Chiefly from the Originals in the Charter Chest of the Earl of Kinnoull. (Edinburgh: T. and A. Constable. no. 135), 127–130, with English abstract at 231–232; an analysis of the case can be found in Cockburn, 1959, 108–110. ↑ Lindsay et al., 127; Cockburn, 1959, 110. ↑ Lindsay et al., 127–128; Cockburn, 1959, 108–109. ↑ Lindsay et al., 128–130; Cockburn, 1959, 109. ↑ Brown, et al; National Archives of Scotland. Scone, Parliament, 1367/9/1, in Records of the Parliament of Scotland to 1707, searchable database. Date accessed: 2 March 2008; Watt, 1977, 115. ↑ Brown, et al. ; National Archives of Scotland. Perth, Parliament, 1369/3/5, in RPS, Date accessed: 2 March 2008; Watt, 1977, 115. ↑ Brown, et al. ; National Archives of Scotland. Perth, Parliament, 1369/3/5, in RPS, Date accessed: 2 March 2008. ↑ Penman, David II, pp. 337, 381. ↑ Cockburn, Medieval Bishops, p. 111; Penman, 2004, 384–385; Watt, 1977, 115; Penman omits Walter from the list of bishops in London, but Cockburn and Watt include him. ↑ RPS, 1370/2/3. Date accessed: 2 March 2008; Watt, 1977, 115. ↑ Cockburn, 1959, 111; Dowden, 1912, 204; Watt, 1977, 115; Watt & Murray, 101. ↑ Dowden, 1912, 204; Watt, 1977, 115; Watt & Murray, 101; he was said in papal documents to have "died outside the curia". Bartlett, Robert. 2000. England Under the Norman and Angevin Kings, 1075–1225. Oxford: Clarendon Press, ISBN 0199251010. Borthwick, Alan R. & Hector L. MacQueen. 1999, "'Rare Creatures for their Age': Alexander and David Guthrie, Graduate Lairds and Royal Servants", 227–233 in Barbara E. Crawford. urch, Chronicle and Learning in Medieval Scotland: Essays Presented to Donald Watt on the Completion of the Publication of Bower's Scotichronicon. Edinburgh: Mercat Press. ISBN 0841830011. Brown, Michael. 1998. The Black Douglases: War and Lordship in Late Medieval Scotland, 1300–1455. East Linton: Tuckwell Press, ISBN 1862320365. Brown, Michael & Steve Boardman. 2005. "Survival and Revival: Late Medieval Scotland", 77–106 in Jenny Wormald. Scotland: A History. Oxford: Oxford University Press. ISBN 0198206151. Cockburn, James Hutchison. 1959. The Medieval Bishops of Dunblane and their Church. Dunblane: Society of Friends of Dunblane Cathedral. Cowan, Ian B. & David E. Easson. 1976. Medieval Religious Houses: Scotland With an Appendix on the Houses in the Isle of Man, 2nd ed., London and New York: Longman, ISBN 0582120691. __________. 1967. The Parishes of Medieval Scotland. Edinburgh: Neill & Co. Ltd .
Dowden, John. (1912), in John Maitland Thomson. e Bishops of Scotland : Being Notes on the Lives of All the Bishops, under Each of the Sees, Prior to the Reformation. Glasgow: James Maclehose and Sons. Grant, Alexander. 1984. Independence and Nationhood: Scotland, 1306–1469. London: Edward Arnold, ISBN 0713163097. Innes, Cosmo Nelson, ed. Registrum Episcopatus Glasguensis; Munimenta Ecclesie Metropolitane Glasguensis a Sede Restaurata Seculo Incunte Xii Ad Reformatam Religionem. (1843) (Edinburgh: The Bannatyne Club, vol. I. . archive.org. Retrieved March 6, 2009. Lindsay, William Alexander; John Dowden & John Maitland Thomson, eds. (1908), Charters, Bulls and Other Documents relating to the Abbey of Inchaffray Chiefly from the Originals in the Charter Chest of the Earl of Kinnoull. Edinburgh: T. and A. Constable. Oram, Richard, ed. 2001. The Kings and Queens of Scotland. Stroud, Gloucestershire: Tempus Publishing Ltd, ISBN 0752419919. Penman, Michael. 2004. David II, 1329–71. Edinburgh: Tuckwell Press Ltd / John Donald, ISBN 0859766039. Watt, D. E. R. 1977. A Biographical Dictionary of Scottish Graduates to A.D. 1410. Oxford: Clarendon Press, ISBN 0198224478. Watt, D. E. R. & A. L. Murray, eds. 2003. Fasti Ecclesiae Scotinanae Medii Aevi ad annum 1638, Revised ed. Edinburgh: The Scottish Record Society, ISBN 0902054198. History of "Walter de Coventre"
This page was last modified on 17 October 2016, at 19:16.